When you go to the deli, what do you order? Maybe a turkey club? What about an Italian combo? Perhaps a pile of dirt, a slice of Chevelle in the middle, and a 55 Chevy on top? 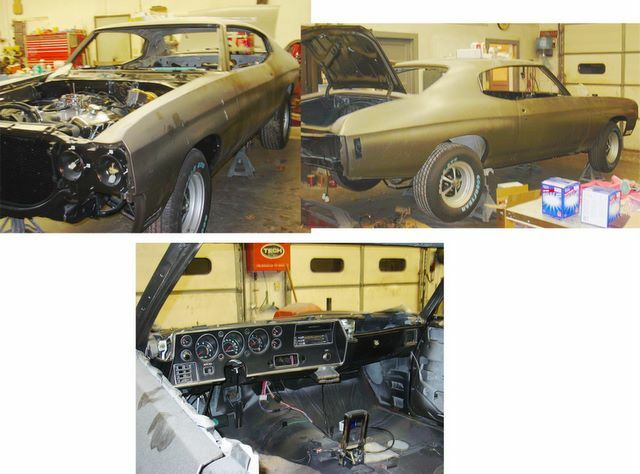 Believe it or not, Mike found this Chevelle in a junkyard in Missouri sandwiched under a 1955 Chevy four door sedan! The good news was that the car on top had provided some protection from the elements over the years. The bad news was figuring out a way to get the 55′ off! Upon closer inspection, only minimal damage was noted, and the Chevelle was loaded up and taken home. 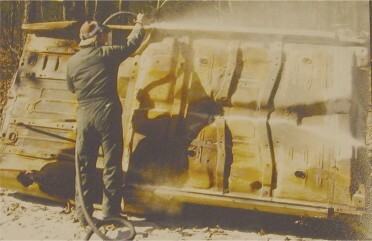 After sandblasting the body, Mike found that it was actually in pretty decent shape. He decided to replace the quarter panels, inner and outer wheel houses, floor pans, and trunk pans for good measure. 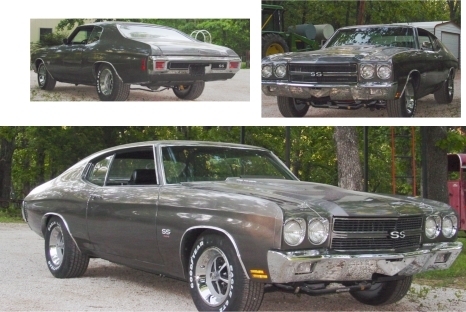 The front clip was donated from a 1972 Chevelle that had been cloned to a 1970 SS and he traded a 1972 dash to his friend for the correct 1970 unit. 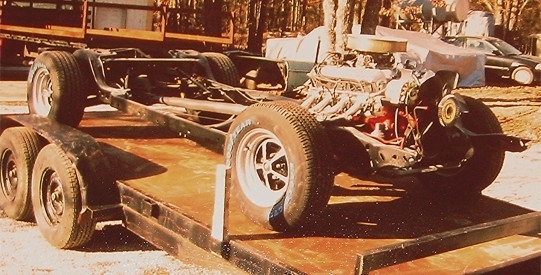 The 1973 454 that lurks beneath the hood was bored 0.30″ over and the stock crank was polished and balanced. The motor contains SRP pistons (10:1), Howard’s cam (.352 lift with .230 duration intake & 335 lift with 236 duration exhaust), Brodix Race Rite big oval port heads, Merlin single plan intake, ARP bolts, Holley 770 Street Avenger carb, Pertronix Ignitor II point conversion kit with Flame Thrower coil, Doug’s shortie headers, Flowmaster dual exhaust with DMH E-cutouts by Muffle Mart (owned by Marty Allison of Rolla, MO). A built TH400 with a 2800 billet converter does the shifting. The car was born on last week of October 1970 and reborn in the first week of May 2007. 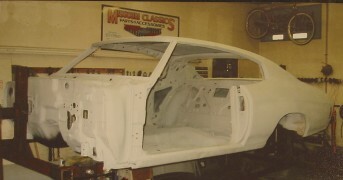 Check out http://thegiftisyou.com/stories.html to see the presentation Mike worked on during the cars restoration history.